Growing A "Wildflower" | Natural Beauty & Health, Arts & Crafts, DIY, Reconnecting, Food 101, Desserts, and Crazy Adventures in Parenthood! Oh, dear where is the carrot cake? I don’t know about you but anything dealing with carrot cake is worth reading! It’s my favorite cake even before chocolate cake! I meet this lovely children’s book author Robin Newman at a book festival with Wildflower at my side. It caught my eye when I saw the words “CARROT CAKE”! I bought the book and Ms. Newman autographed the inside and she even took a cute Kodak Polaroid of Wildflower dressed up in a fuzzy mustache sticker, a Humphrey Bogard hat and a case number mug shot! Very cute. This book was wonderful to read out loud to Wildflower and is geared for ages 4 to 8 years old. But, I loved it and was laughing at the play on words for us parent readers. The Illustrator and artist that helped bring the main characters Captain Griswold and Detective Wilcox alive is Deborah Zemke. Very whimsical, lively and colorful pages to capture the world of this book. Due to the legal mountain of paperwork I can not post any photographs of the inside of this wonderful book. Plus, why give away the mystery of the story! So take your fork, computer mouse or index finger and tap, tap, tap, and click ,click ,click the links below to hunt down this sweet tooth tale. I promise you won’t be disappointed in the end because you will also find a yummy recipe to bake together with your child at the end. I loved finding that sweet surprise! Remember to share the love on your social media and sign up for the email list. Here is a quick an easy craft for 4 and up! Work together to make an awesome pencil gift for a friend or MomMom’s Birthday. Three buttons for center and leaves. One color or two of construction paper for petals. Cut and fold paper to square size you want the petals to be and freehand cut design. Grownup helper needed for younger artists. 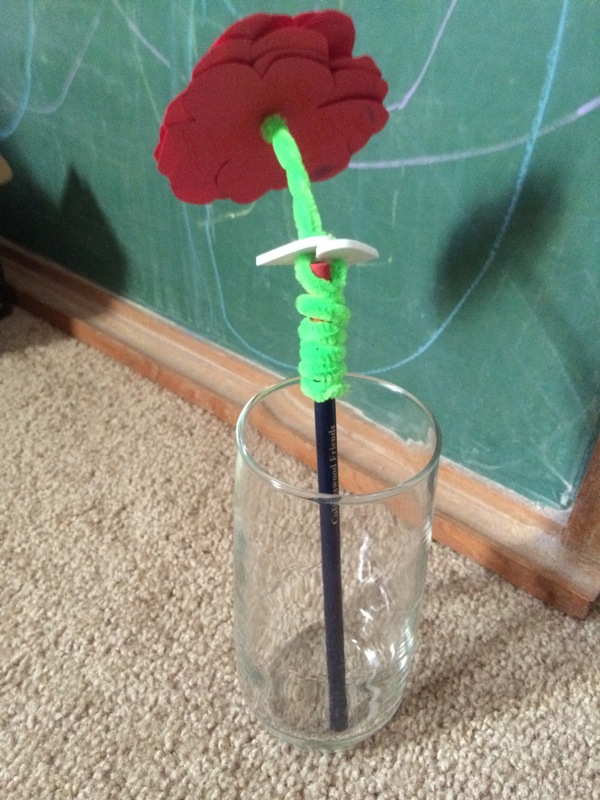 Wrap pipe cleaners together except leave room for the petals on the top and add buttons in the middle and then continue wrapping. Poke hole in center of paper petals and let the child assemble the flower. 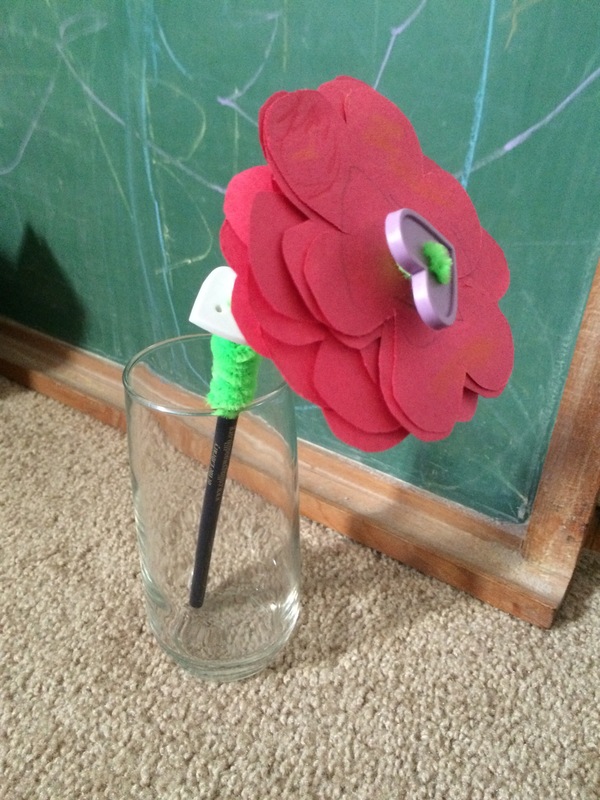 Loop pipe cleaner through button for center of flower and then wrap it underneath. Wrap pipe cleaner around the top of your pencil and you’re done. Have fun crafting together! Be as creativity as you want! Let me introduce you to my hubby. He wants to go by the name “Fire It Up Willy”! Here is a recipe that he has done for the past few weeks because a friend planted a garden with tons of pepper plants and has no clue what to do with them! 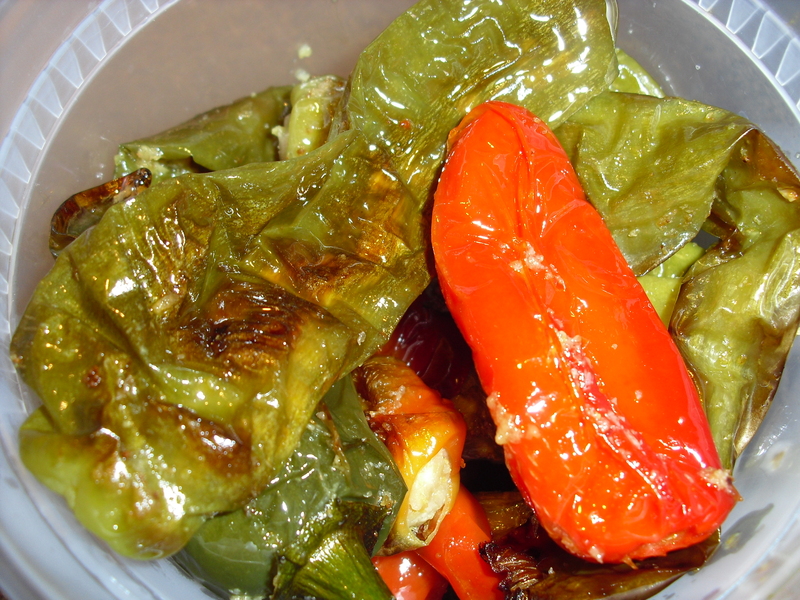 All “Fire It Up Willy’s” friends at work gave him their bag of peppers cause they had no clue how to roast them! So I thought to share “Fire It Up Willy’s” Recipe. 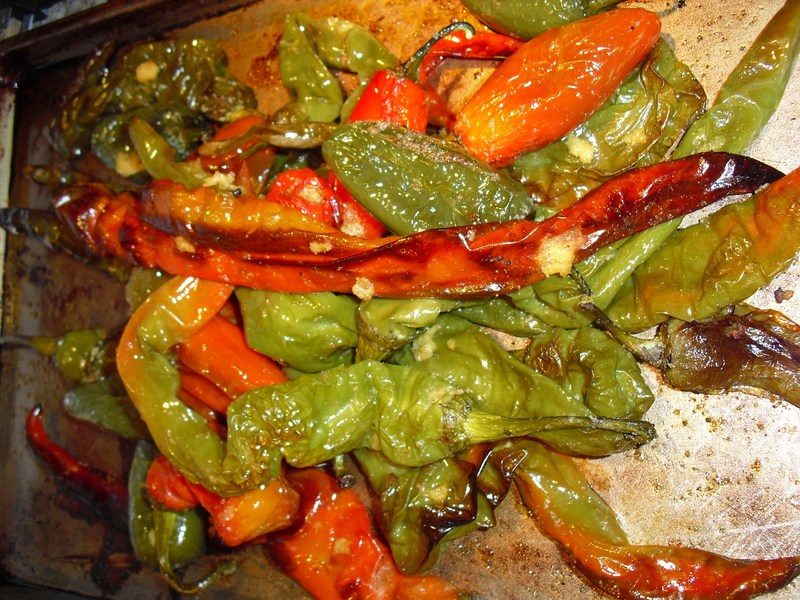 At 350 F on a greased baking sheet or baking pan place washed whole peppers. 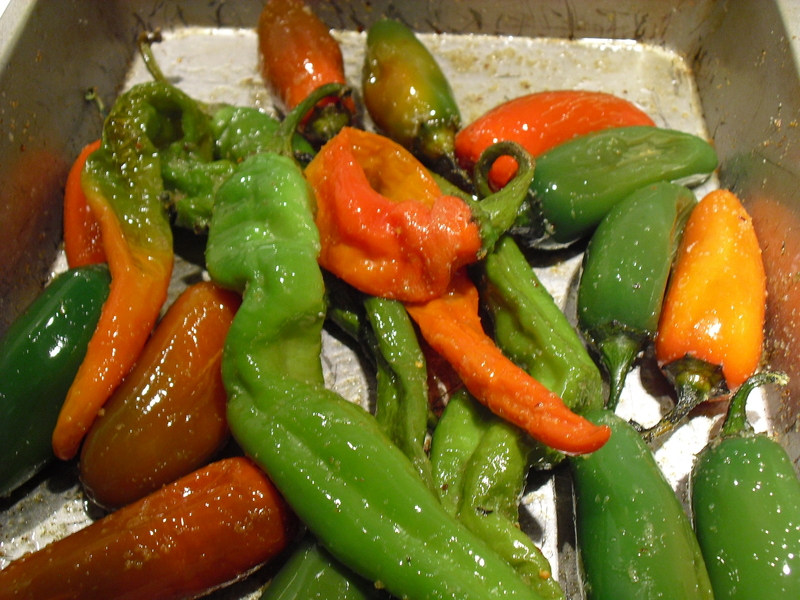 12 1/2 dozen of sweet or hot peppers and drizzle with olive oil. Season with salt and ground pepper to start. Check at around 20 minutes and keep an eye on the peppers, the whole time. Flip once to roast evenly on both sides. Around the end of roasting add jarred garlic and use a fork to apply. Here and there. 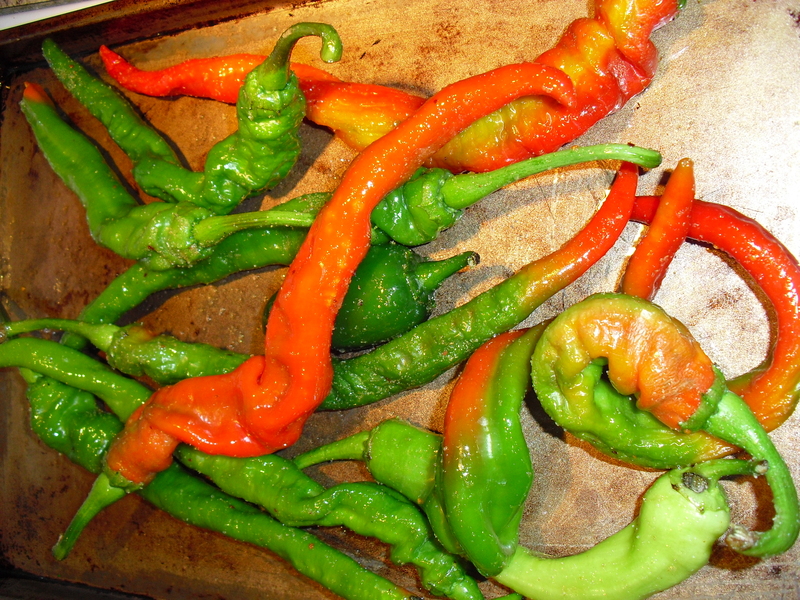 Get your peppers to desired texture or roast. 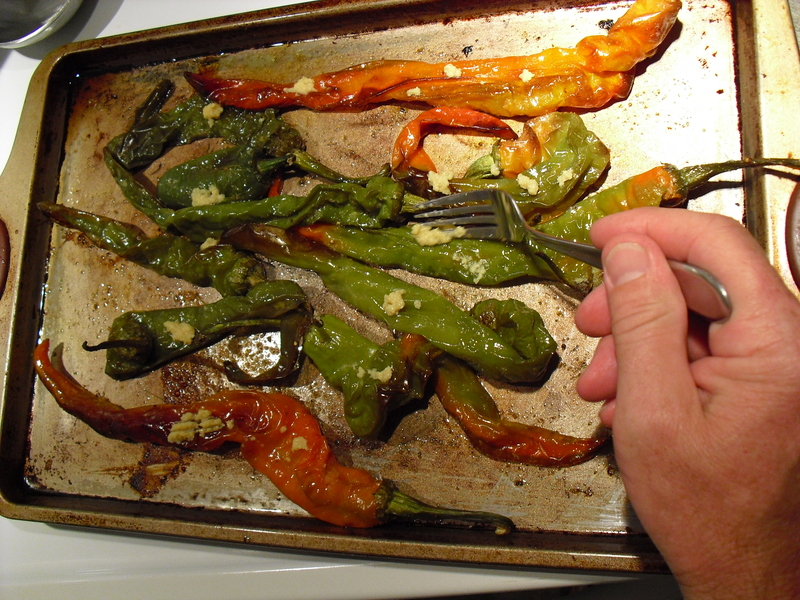 At 50 minutes pop the peppers out of the oven. Have the peppers cool down and store in container. “Fire It Up Willy” suggests using the Roasted Peppers in pasta sauce, sausage sandwiches or add it to fire up your dips for Football Game Day! His favorite way is the way his Italian Grandfather, would enjoy it on a soft Italian roll buttered and top with the Roasted Peppers. “I’m on the blog!” said my hubby. If you enjoyed this recipe share it with your social networks and follow me for more! I never know what I will be blogging about next! Something simple, baking, cooking or arts and crafts with our Wildflower. 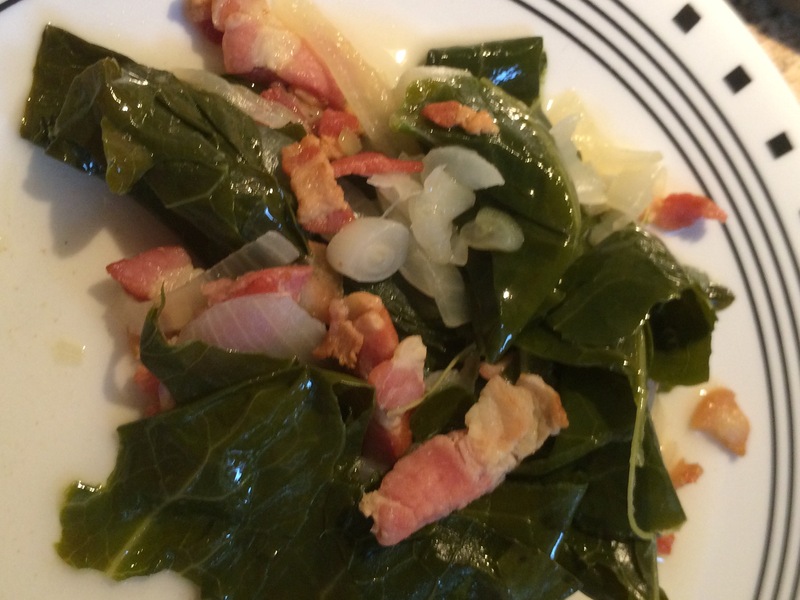 I made just a small side dish of collards. 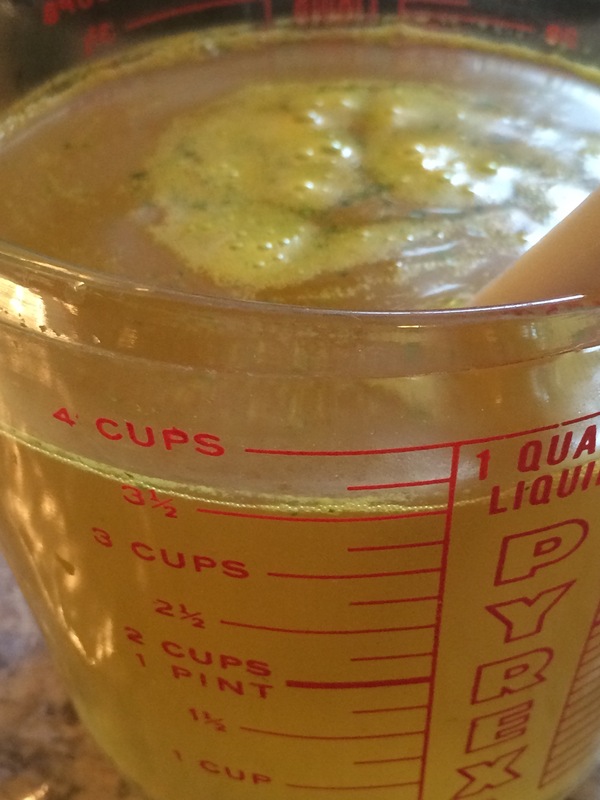 Super simple to make and just four ingredients if I don’t count the water. Four! 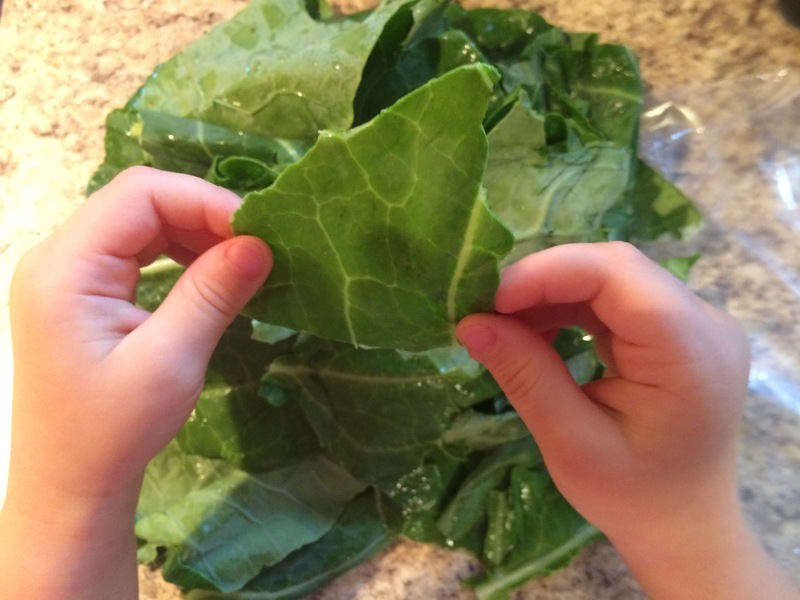 A small bunch of organic collards washed and ripped the big stalk or rib with my hands. Wildflower ripped the leaves in nice sized pieces. 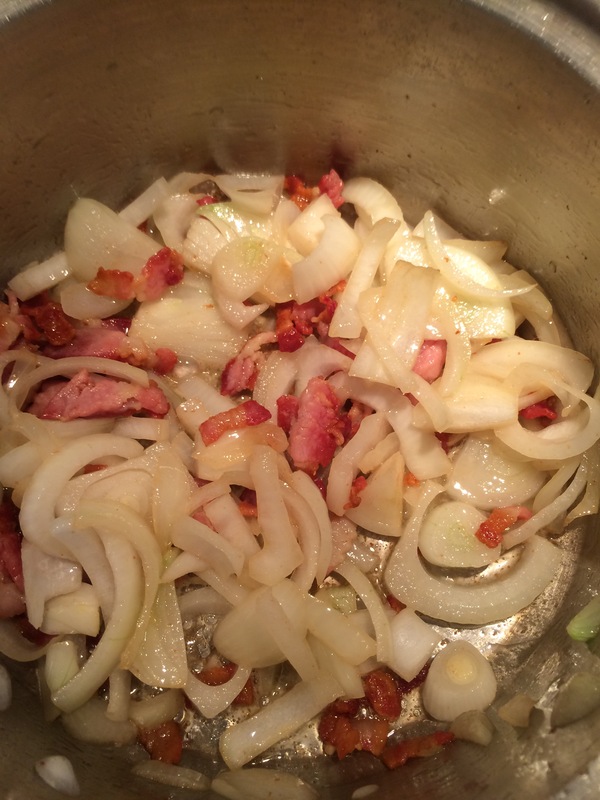 In a pot cook several strips of bacon and one medium sized sweet onion in a splash of olive oil. 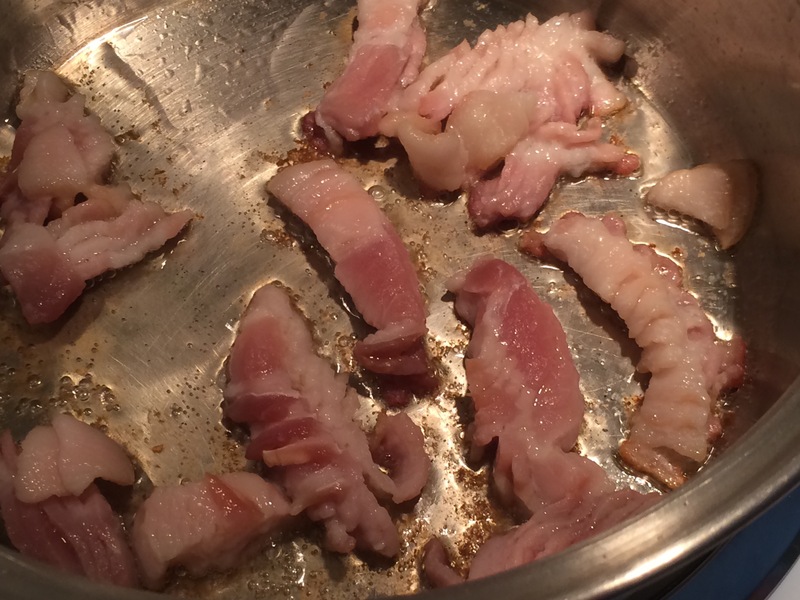 Once bacon is browned add 5 to 6 cups of water with two cereal spoons of heaping chicken bouillon. Add greens to pot and cook with lid tilted on top. Fully covered will cause over flow. Cook for 25 minutes on medium heat. Taste to check tenderness. Enjoy a low sodium recipe with favor! Do you want to try something totally different but healthy for dessert? 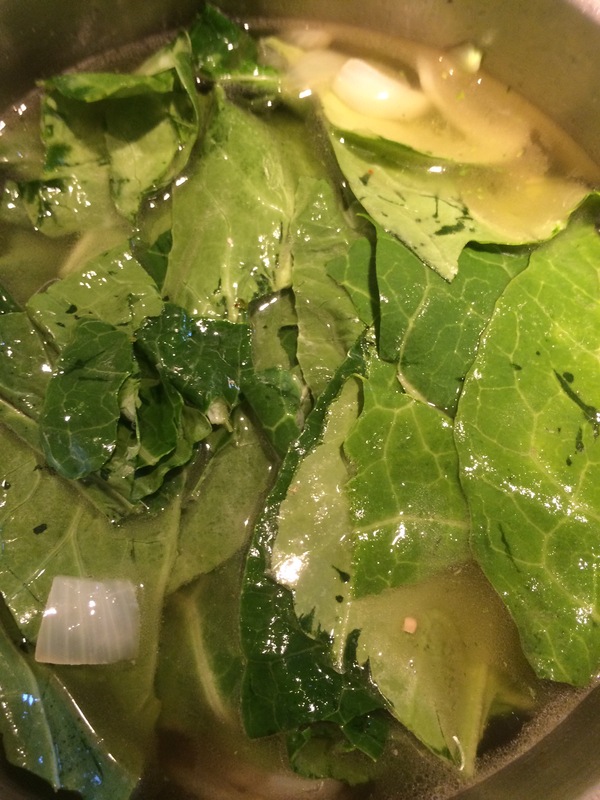 I tried this simple recipe several years ago when I was trying to see if I could be a Vegetarian or a Vegan. But, I can only try it for a day or two. I made a few simple changes to this easy recipe and prefect for a budding baker who is afraid of turning the oven on and burning anything! No baking required, just a food processor or blender! Blend or process until smooth! Spoon into serving dishes 7 oz. or 200 ml dishes. Chill until after dinner or over night to firm up again. The outcome is creamy, dark chocolate sweetness, healthy protein, and I shared a dish with my Wildflower. When she first saw the package of tofu she wrinkled her nose and asked what that was! I am making your favorite pudding! Oh, goodie! 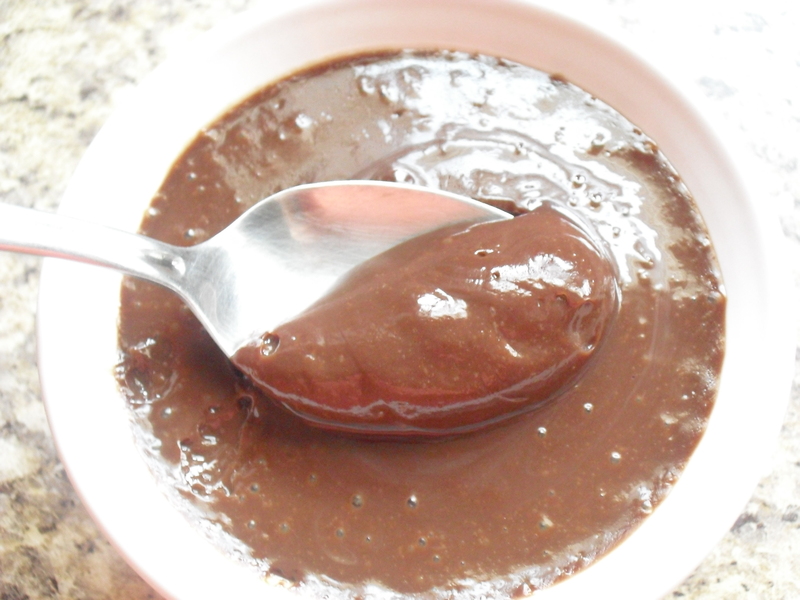 Wildflower loves this pudding just as much as regular home-made chocolate pudding with all the dairy! She has not a clue and would eat both! So, now it’s your turn to give it a try! Thanks for reading and get your spoon ready! Pick your favorite social app or sign up for email to follow me! Who knows what I will blog next?!?! If you are looking for a another chicken recipe and just tired of the same old chicken and chicken and more chicken recipes?!?!?! Here is something I think you will love to try tonight! A new! Chicken flavor and taste! Here is the recipe I came up using Golden Barrel Products. Line your oven pan with foil wrap and coat with cooking spray. In a food processor 1 cup walnuts and 1/2 cup shredded sweetened coconut and process to a medium to fine meal. Spoon the paste on to the chicken drum sticks and cover it! Bake for a good 50 minutes. Serve with your favorite vegetable side dishes and a nice tossed salad. The outcome of this dish is dark, brown and gooey! But, it is oh so good to eat and the smell is yummy good! 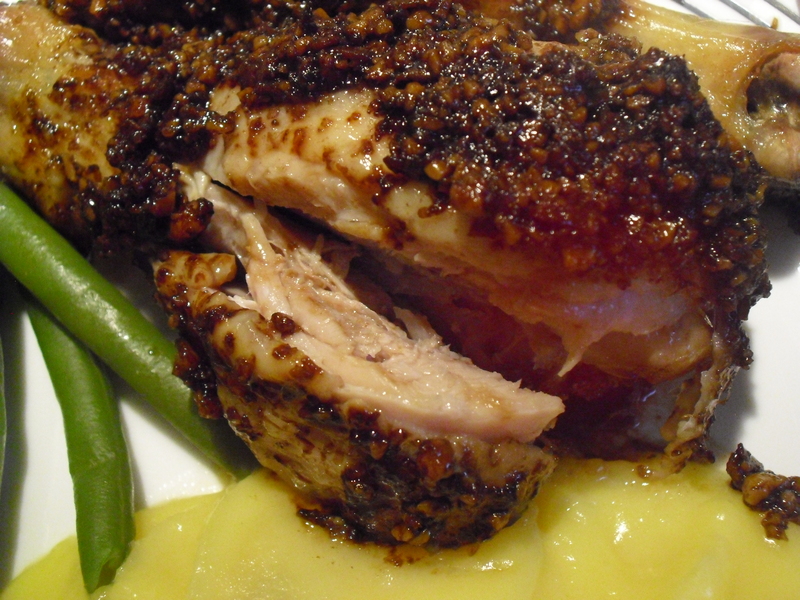 It is a savory flavor, different spices for chicken, tender, juicy, nutty, slightly sweet and sticky good! Even my husband who doesn’t have a sweet tooth loved it! Thanks for reading and enjoy chicken again! If you enjoyed this recipe, pick your favorite social app or sign up for my email list! I never know what I will blog about next! I have not been blogging for about a month. So I though I would check in and say hello! Have you ever thought about the simple things that you do everyday that your child sees? Look in the mirror now. You are your children’s role model! Yes, we have super stars and Super Heros on TV but they look up to you! Wildflower just started doing things and saying Look Mommy I do what you do! Playing with my makeup brush and I do what you do! Dusting the table and I do what you do! Pushing the turned off vacuum and I do what you do! Pushing the broom across the floor and rug and I do what you do! Playing with her kitchen toy set and I do what you do! I am cooking! I am baking cookies! It wasn’t until I thought of trying to get up early to pop in one of my old exercise DVDs from my days before Wildflower baby was in my life. I just looked at them and picked one I wanted to see, if I could try exercise in my current life again. I put it back on the movie shelf to wait until tomorrow morning, while Wildflower was sleeping. Wildflower when over pulled the DVD off the shelf and saw the front cover. She got down on the floor and copied what the trainer was doing on the cover!!! Look Mommy I do what she is doing! Look! Wow! A moment in time that slaps you in the face good and hard! This whole time of my four years of taking care of my Wildflower child I was blaming her ,that I couldn’t exercise. My form of exercise was running after her all day! Not a joke! I was standing in my own way and never though to give it a chance or anything! I was dying to get back in shape but I was waiting and waiting for what!?!?! I walked over to my little daughter on the floor doing a yoga Pilates move. I told her wow you are doing fabulous! Would you like me to play the DVD to see more? Wildflower said YES! We did it together for about ten minutes and I had to stop since I tried a page out of the magazine’s floor exercises. Right before she woke up this morning. I had my fill for the day. She was so disappointed and wanted to keep going! I told her we would do more tomorrow. Oh, OK! This totally rocked my whole world and we went to the store to use the last of my birthday money to buy new exercise dvds, hand weights, and outfits for me to sweat out in! I was thrilled! I even cleaned out my cabinets and frig! New yummy healthy options just even more than usual. I have always been healthy but this helped me out even more! The old me was awake again! My husband has loved the new fun dinners but I just revamp old boring dinners and foods. I still have to buy his favorite foods and stuff since he does have a hard labor intensive job. He doesn’t need to exercise and would have no energy to exercise at the end of the day! So, he gives me tips and ideas! So , I have been at it, for this month of April! Exercise and eating good! Set my old goals and if my Wildflower is sleeping I exercise! If she wakes up and calls me in the middle of my sweating exercise I pause it take care of her real quick! Plop her on the sofa and go back to exercising! She watches me finish and clean up after. You know what I hear and see now? Jogging in place and I do what you do! Stretching out hamstrings and I do what you do! Down ward facing dog and I do what you do! Look Mommy! I am exercising and getting healthy and strong just like you, Mommy! Look! Makes my heart smile big and wide! You are a ROLE MODEL in your child’s life! What are you showing them? Thanks for reading and seeing clear again! If you love this follow me and pick your favorite social app or sign up for my email list. I never know what I will blog next! Baking, cooking, crafts for kiddies or a photo I snapped! Enjoy the ride. Here is a simple craft I came up with, on short notice of being asked “Can we make a craft?” from Wildflower’s older friend. Cut the paper into two heart shapes, together. 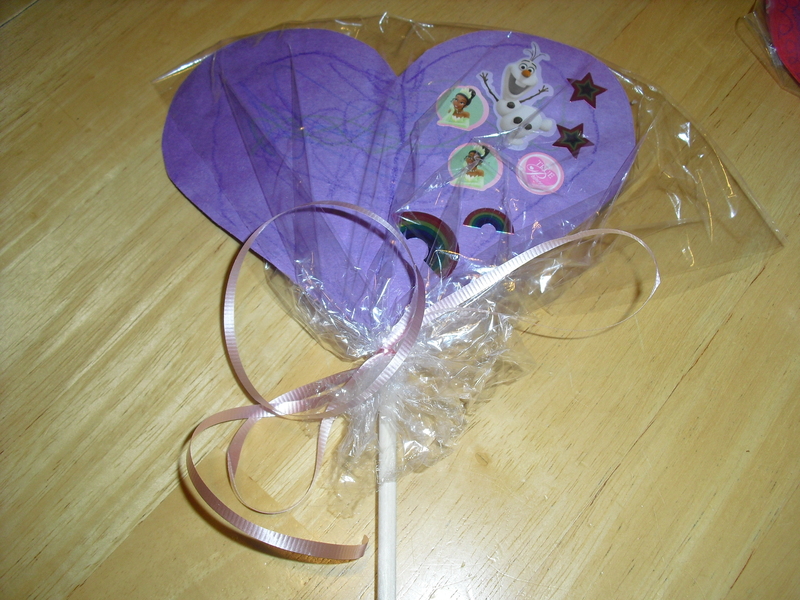 Color and design a pretty icing pattern on you jumbo lolly pop with crayons. Place a chop stick in the middle and drip glue on paper. Press the other heart on top and press tight near the chop stick to give the classic lolly pop look. Wrap in plastic wrap to seal your super, sweet and sticky lolly pop! Tie and curl your ribbon to keep the wrapper on tight! Give your lolly pop to someone special! Wildflower’s friend made an extra special one since her little sister wasn’t here on this day! Very sweet of an older sister! Below is Wildflower’s craft all wrapped up to go. Have some fun and bring a childhood candy to life! Thanks for reading and who will you give your lolly too? Pick your favorite social media to follow me or sign up for my email list! I am always mixing it up and who knows what, I will blog next!?!?! Since I have been under the weather and fighting a fever the other day. Had no clue since, I am a mom and a 101.0 F fever for half the day! Before discovering my fever I took out my trusty blender to drink some produce vitamins and fill up my tummy. Simple recipe with no measuring! Just wash and prep all the produce, dump, blend and yum! Just enough for one tall glass. 1 small container of 4 oz. (113g) yogurt, I used Wildflower’s favorite Stonyfield Organic YoToddler Banana Pumpkin! 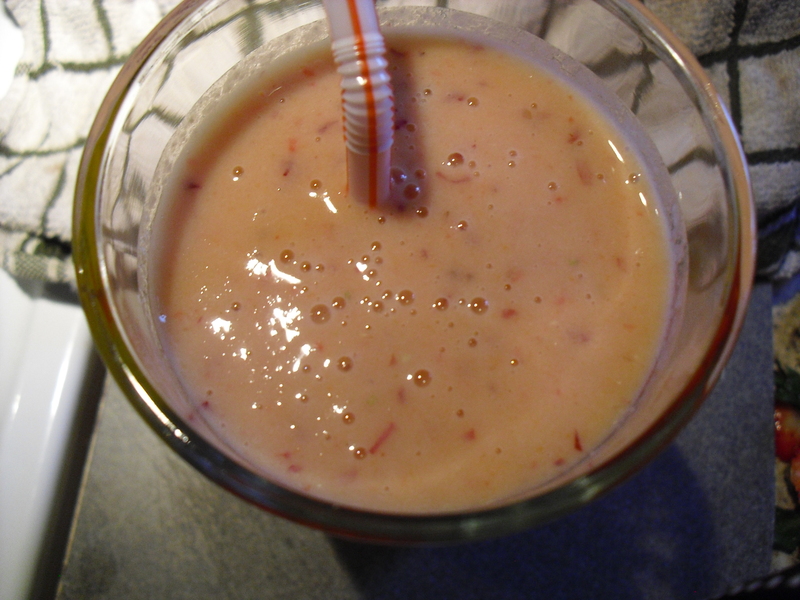 Orange juice to blend the fruits and vegetables whole. Pour in a glass and feel better! http://www.stonyfield.com is the only choice in my refrigerator. If you enjoyed this blog, pick your favorite social media to follow or sign up for email for more! I am always mixing up the subjects on this blog, from smoothies, baking, cooking, crafts for kids, or anything on my mind! What is home to me? Home is not a house or a building or apartment or structure made of wood. A home is a foundation of family, memories, heart, emotions, stories, webs we weave together, bonds we make, stories we pass on to the next generation, journals and pages we undercover at a loved ones death. A home is your family and each of you standing together in a group united as one. A group hug is a strong power house of a home. This red sun struck barn is a picture of all of this in one. 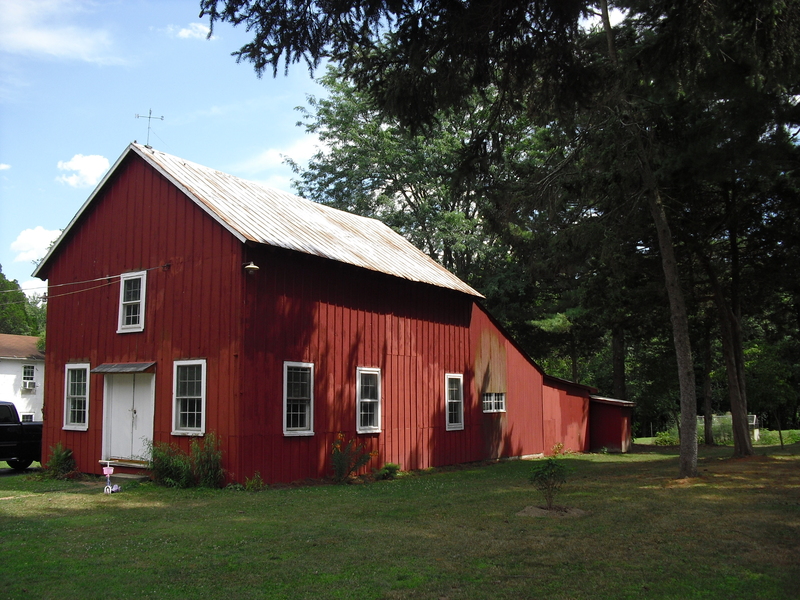 My Grandfather storied his treasures from around the world in this two-story barn. It was like a museum over the years, I stepped inside. Every visit it brought out the most amazing stories and time! Adventures! Every visit I discovered something exciting and historical new. Every time! That is what home is even to me. P.S. This is a homework assignment for a picture of what home is to me? Enter your email address to follow WildFlower Mom and receive fresh posts by email. Like, Follow, Share & Grow! Enter your email address to follow Growing A Wildflower and receive fresh posts by email.